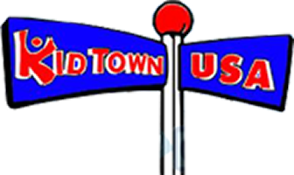 Kid Town USA in Clinton Township, Michigan, believes that the children we serve will be happier if mutual respect exists between parents and teachers. To ensure this exists, we establish open, honest communication; create a safe and secure environment; guide each child to explore through age-appropriate activities; provide toys that stimulate learning; and provide opportunities for the development of physical activities. In addition, we emphasize the notion that even during childhood, we exist in the context of a larger society. Therefore, we teach respect for the rights of others; model and encourage social behavior; teach positive solutions to conflicts with others; and encourage self-discipline within the child. Lastly, we believe that literacy is of paramount importance. Consequently, we value children's verbal expressions; converse with the children one-on-one; and encourage them to "read" picture books and respect their "writings".